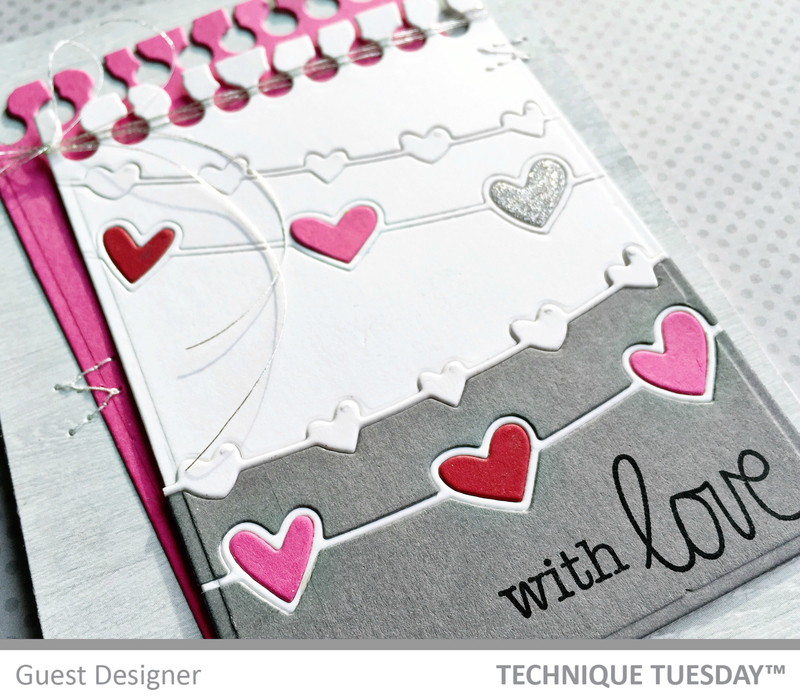 My card is made with all supplies at My Favorite Things: Die-namics Wonky Stitched Rectangle STAX, Stitched Mini Scallop Rectangle STAX, Blueprints 24.Stamps: Lucky and Mini Chicken Wire BG. Popping in to share my completed card from my Day 25 of Kathy Racoosin’s The Daily Marker, 30 Day Color Challenge project. Today is Day 28!! Wow. Thanks for stopping by! Enjoy your Sunday! 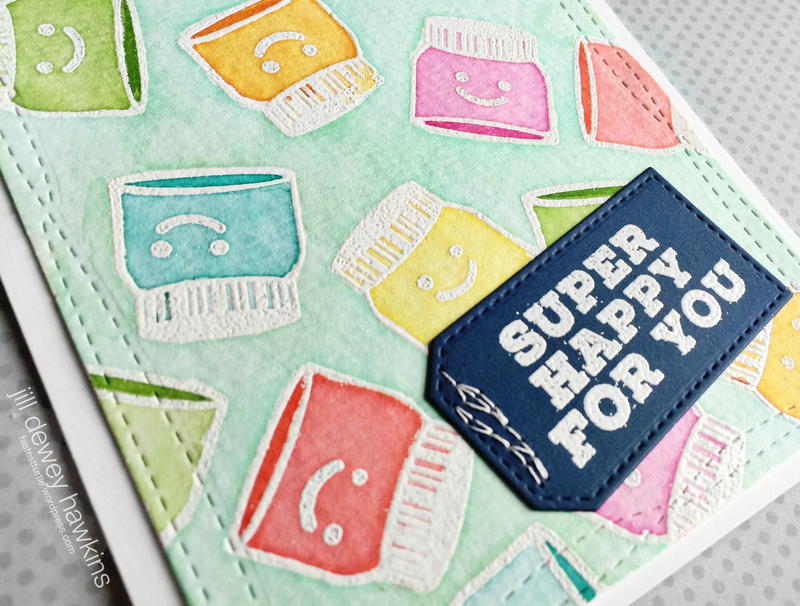 Jars of smiles 🙂 I embossed these and then watercolored with Distress Inks. 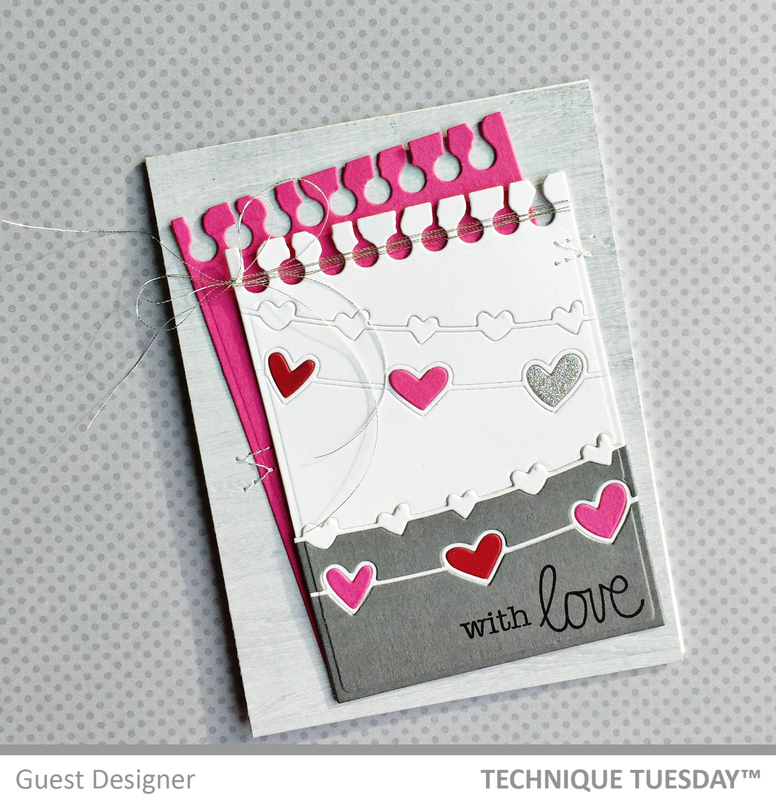 Paper Smooches supplies: Fun & Flirty, Market Fresh. Yay! 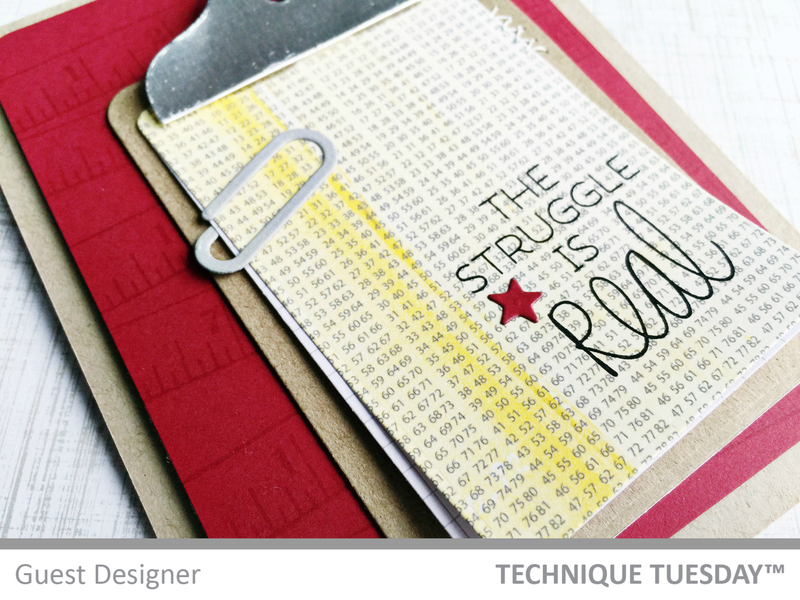 Thank you for joining me on another Technique Tuesday Thursday! You can hop over to the TT blog for this week’s scoop! 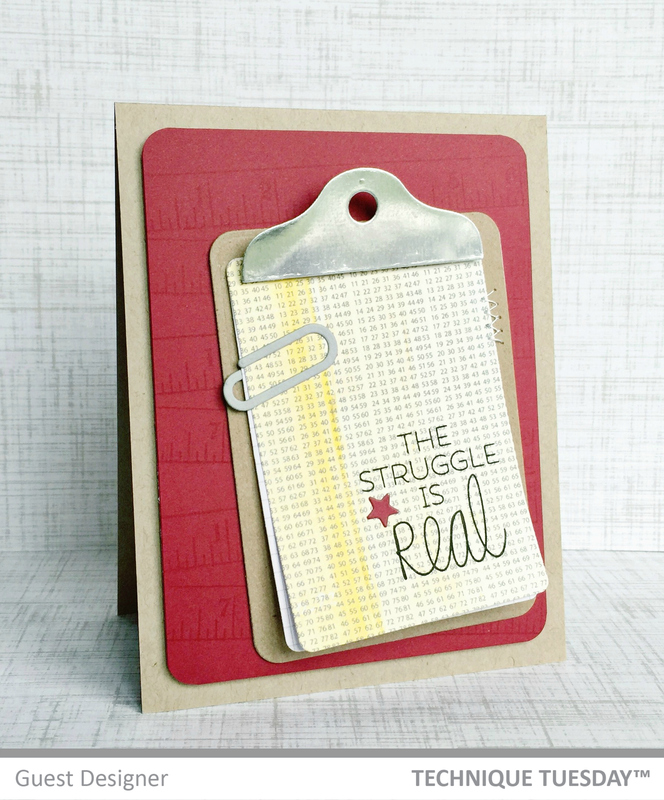 First up, The Struggle is (very) Real! I Can’t Even! 🙂 The minute I saw this Say What?! stamp set month’s back, I wanted it crazy bad. 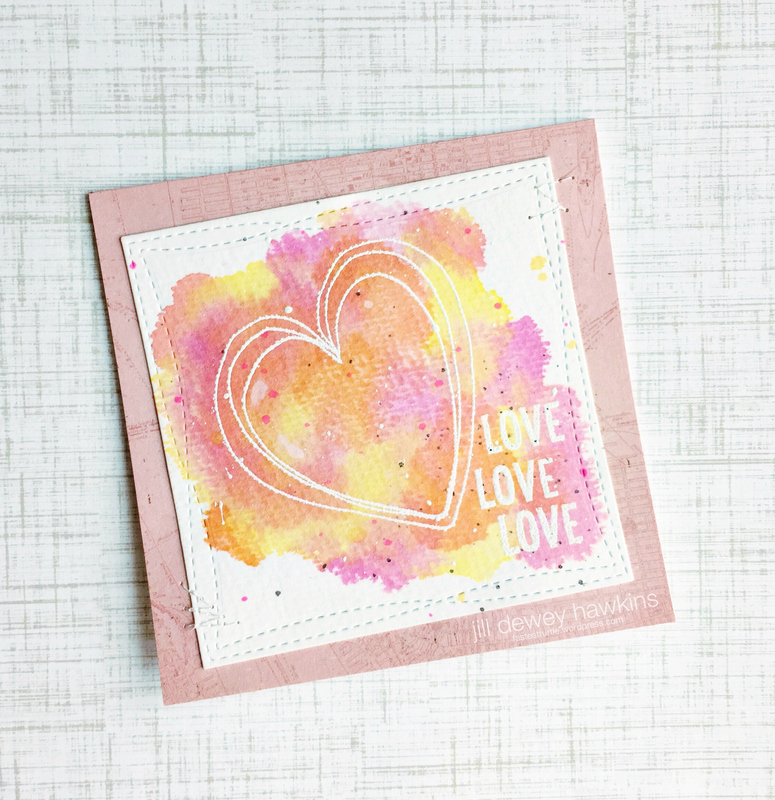 The sentiments are so stinkin’ fun!! I then busted out the Heart Strings die again. This die is sweet and versatile! I used the Memo Pad die too. 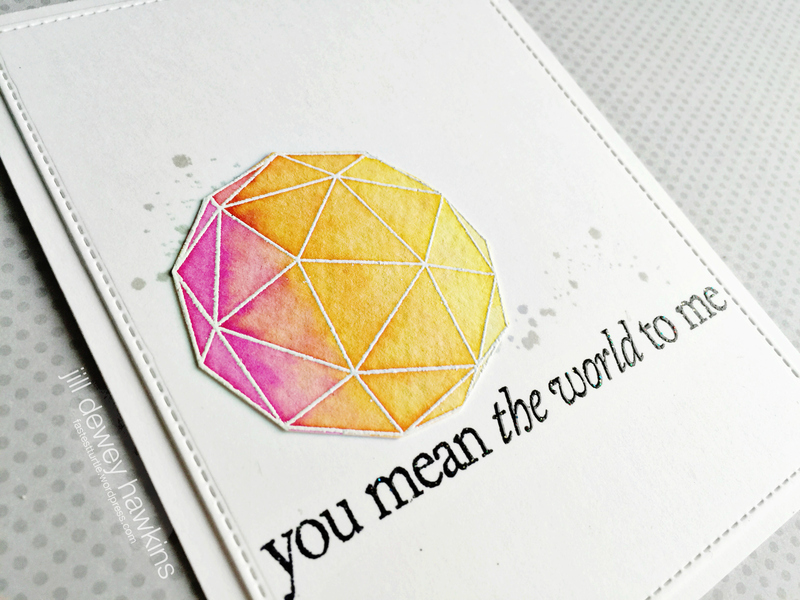 I sorta kinda want to use this die on EVERY card! Is that wrong? 😉 I inlaid and layer inlaid these die cuts in…Delightful! 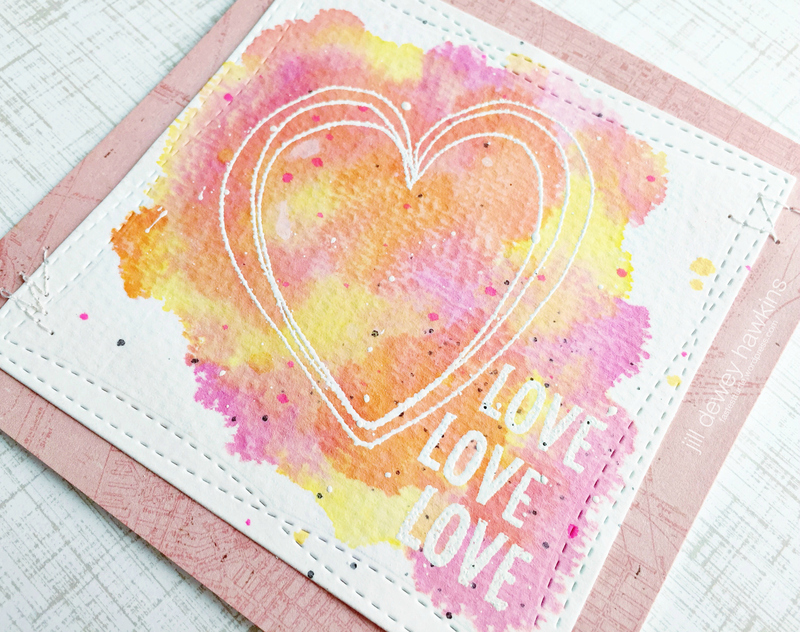 I have SO enjoyed having the privilege to be the February Guest Designer at Paper Smooches!! 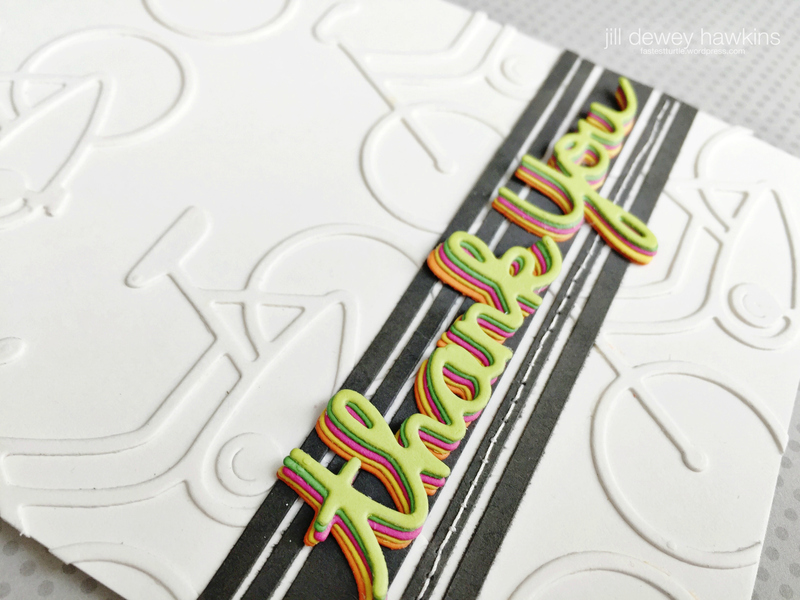 Happy 5th Anniversary to Kim and her Paper Smooches!! 🙂 So many great designs in those 5 years! 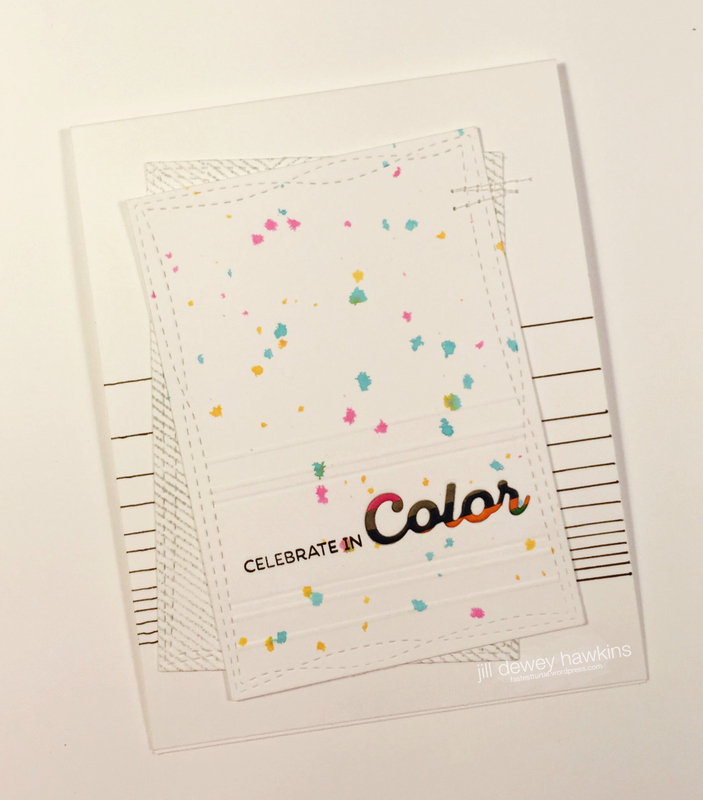 Be sure to follow the celebration on the PS Blog! 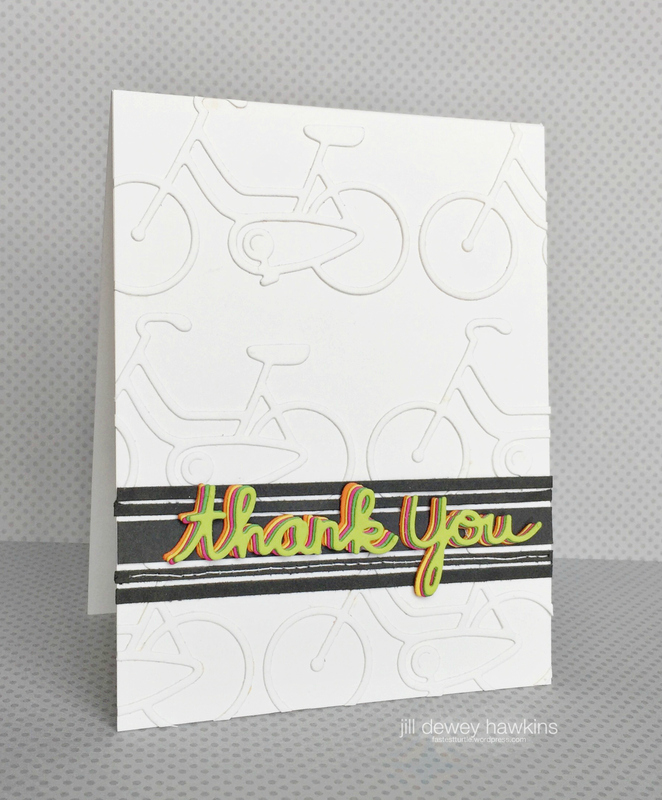 My first card uses the new Thank You die. This is such a great basic to have. I was eager and thankful to use this! 😉 I also used the fun Bicycle die. 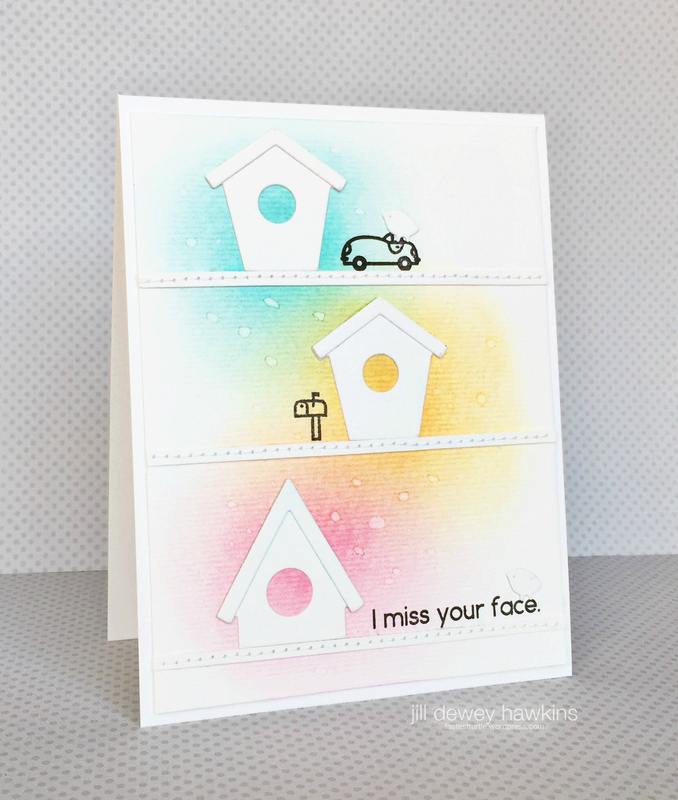 Paper Smooches supplies: Fun & Flirty, Birdhouse Dies, Thank You die, Bicycle die and Bitty Bungalows. Lines! Lots of lines. 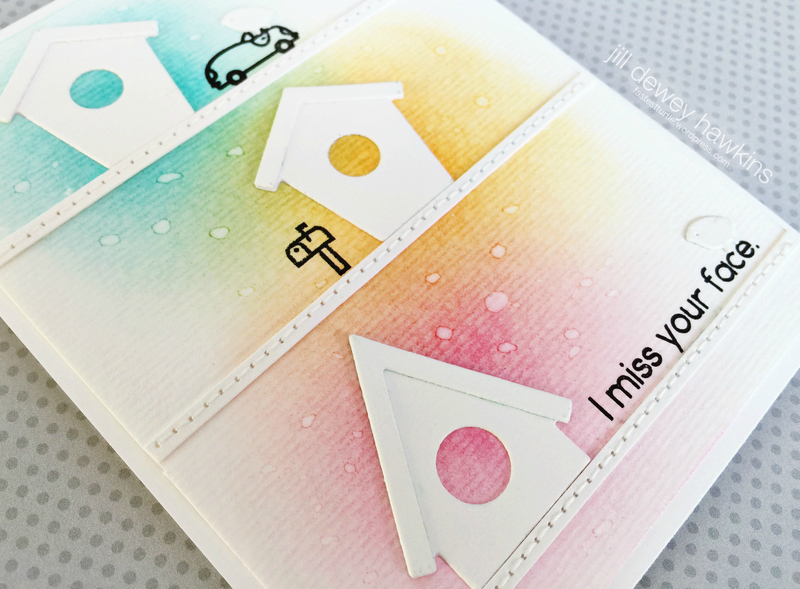 I also enjoy these newer rainbow sentiments and dies. I’m looking forward to really taking them out for a spin! 🙂 I can’t say I love the way the spatters stuck on this. I’ve been using so much watercolor paper, I forgot how blah they look on regular stock. 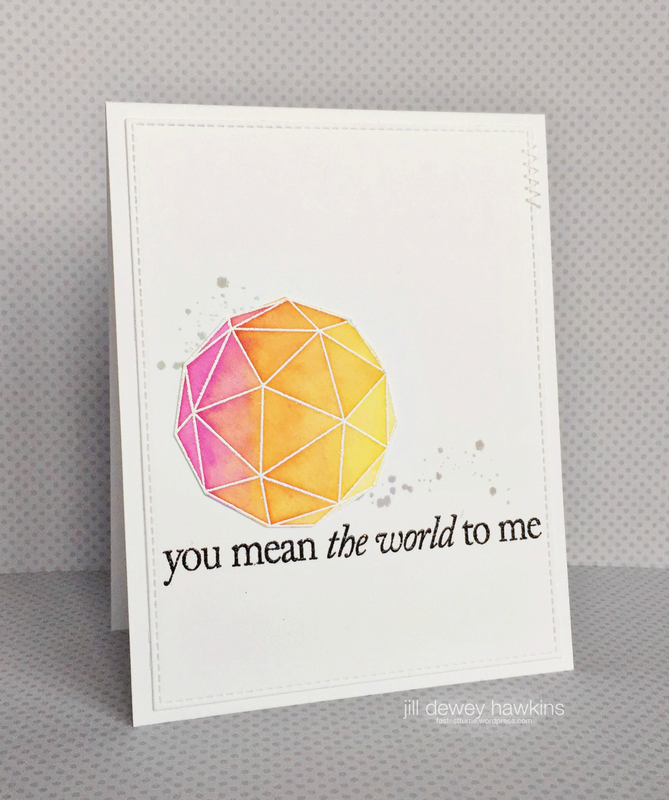 My card is made with all supplies at My Favorite Things: Die-namics, Stamps, & Card stock. Thanks for popping by! See you back here Wednesday & Thursday! Dropping in to share my completed card from my Day 14 of Kathy Racoosin’s The Daily Marker, 30 Day Color Challenge project. I did a quick watercolor of a Hero Arts Stitched Heart. In doing this, I just cross my fingers and hope it dries into something I like :). I thought this would brighten a mailbox! It was Valentine’s Day when I made this, but I think it works any day.